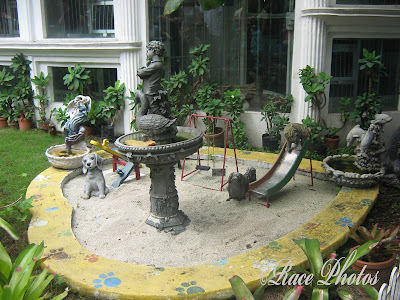 Just find this dog & cat playground 'something different' because it's not always that we see them in a playground like this. I like this picture and I've already featured this in my other blog. Btw the animals are just made of stones and this playground can be seen in Bio Research Mini Zoo where my little boy had his first field trip/educational tour with his classmates. His very first was when he was included in her sisters' field trip. Click on the Thursday Challenge heading for other 'something different' entries! It's beautiful! I live in a condo but have a common area where I plant flowers. This would be so pretty there.